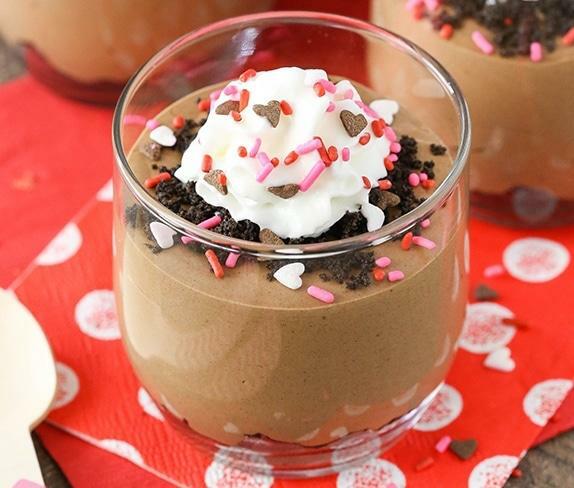 Valentine’s Day is quickly approaching, and even if you don’t plan on celebrating with a special someone, it’s still a good excuse to eat delicious, chocolatey desserts. Sadly, some of us don’t have access to fancy-schmancy kitchens or a boatload of time to spend cooking. (A few of us don’t even have access to an oven!) Luckily, these six easy, no-bake dessert recipes require minimal time and only a few kitchen gadgets to make. It’s time to treat yo’ self! 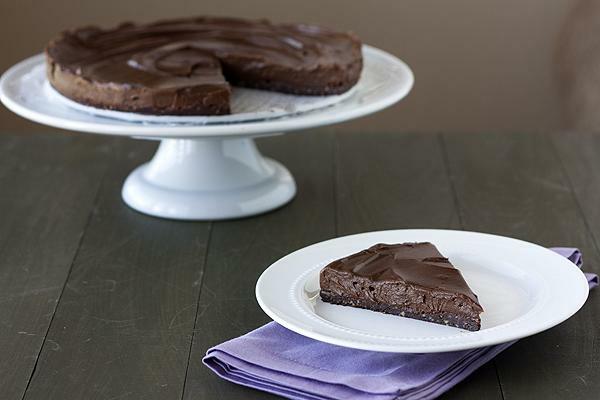 If you want to keep up with your healthy diet on Valentine’s Day, consider trying this no-bake vegan and gluten-free chocolate torte recipe from Handle the Heat. The crust of this sweet cake is made with pecans, cocoa powder and coconut oil and sweetened with maple syrup. The creamy, dense filling is made using avocados as the secret ingredient. With a food processor on hand, you can easily prep this torte in 15 minutes and leave it to chill in the freezer for about two hours until it becomes firm. There’s just something so romantic about chocolate mousse. But you don’t have to have a partner in crime to enjoy these homemade chocolate mousse cups from Life, Love and Sugar. We love this recipe because it’s easy to make for one but it can also be made for a larger crowd. Making your own mousse might sound intimidating, but it actually only requires five ingredients. You need the yolks of four eggs, sugar, heavy whipping cream, melted chocolate and whipped cream. Oh, and don’t forget those chocolate cookie crumbles and colorful sprinkles for the garnish! You can make this sweet-and-salty dessert in just 15 minutes. 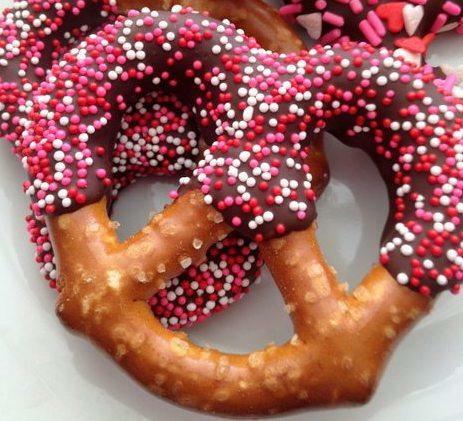 Simply dip your favorite pretzels in melted chocolate (which you can easily melt in the microwave) and then cover the pretzels with colorful sprinkles before the chocolate dries. Place the pretzels on a baking sheet and refrigerate them for 10 minutes. You can store these babies in the fridge for up to a week. Get the full recipe from Sally’s Baking Addiction. 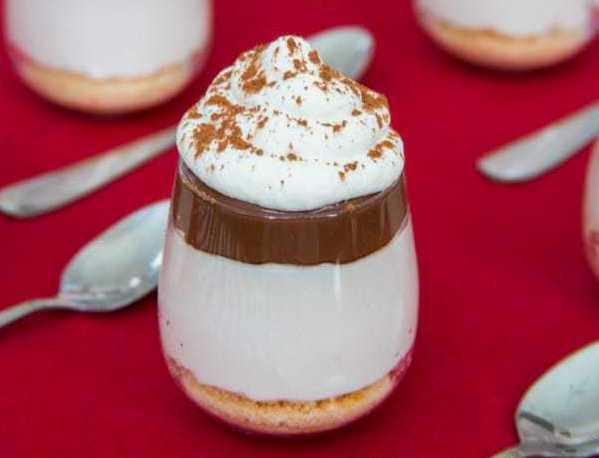 These no-bake Nutella cheesecake cups have three delicious layers: a crunchy bottom layer made with crushed graham crackers or crushed macaroons, a cheesecake layer and an ooey-gooey chocolate hazelnut spread layer. The whole thing is then topped with a heavy-handed serving of fluffy whipped cream and sprinkled with cocoa powder. You can make this heavenly dessert in just 15 minutes. Get the full recipe from Cupcakes & Kale Chips. 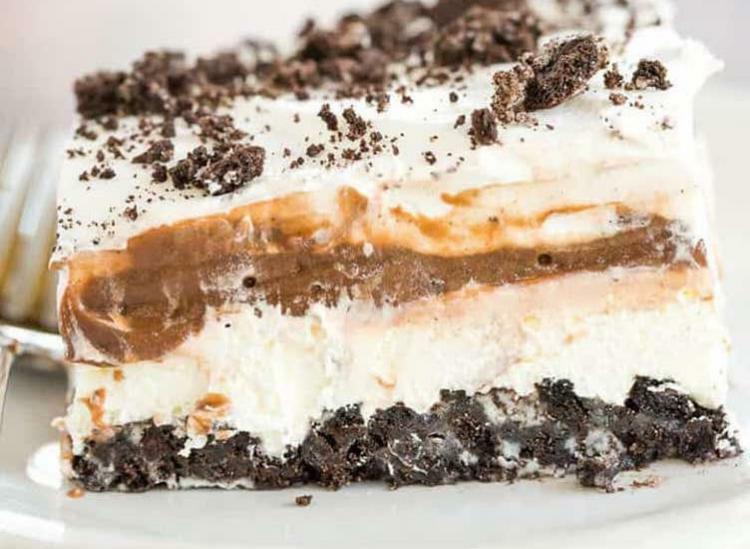 If you’re looking to truly indulge on Valentine’s Day (or on any day of the year, for that matter), consider this no-bake Oreo layer dessert recipe from Brown Eyed Baker. 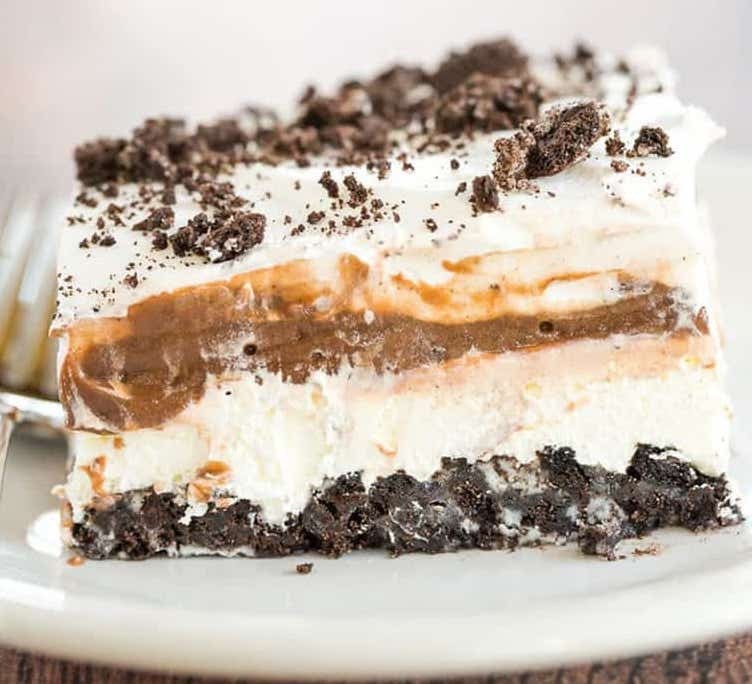 The cake has three mouthwatering layers: an Oreo cookie crust at the base topped by a cream cheese layer and then a chocolate pudding layer. The three cake layers are then topped with Cool Whip and more crushed Oreos — because you can never have enough Oreos. You can prepare the cake in just 30 minutes, cover it and then let it set in the refrigerator for at least four hours (or overnight). This no-bake chocolate and coffee cookies recipe from Cookie and Kate can be made in a total of 10 minutes — yes, you read that right. The cookies are made with eight simple ingredients: sugar, milk, cocoa powder, butter, peanut butter, rolled oats, vanilla extract and a packet of your favorite coffee. 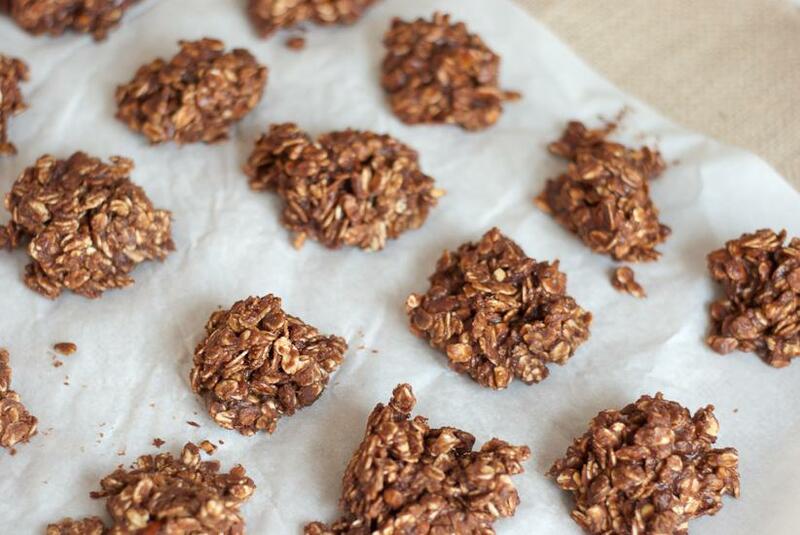 The recipe yields 24 to 30 cookies, so you’ll even have leftovers to bring to work come Monday.